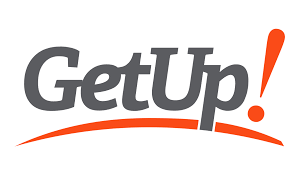 GetUp - Purveyors of Hate and Division? - Rite-ON! 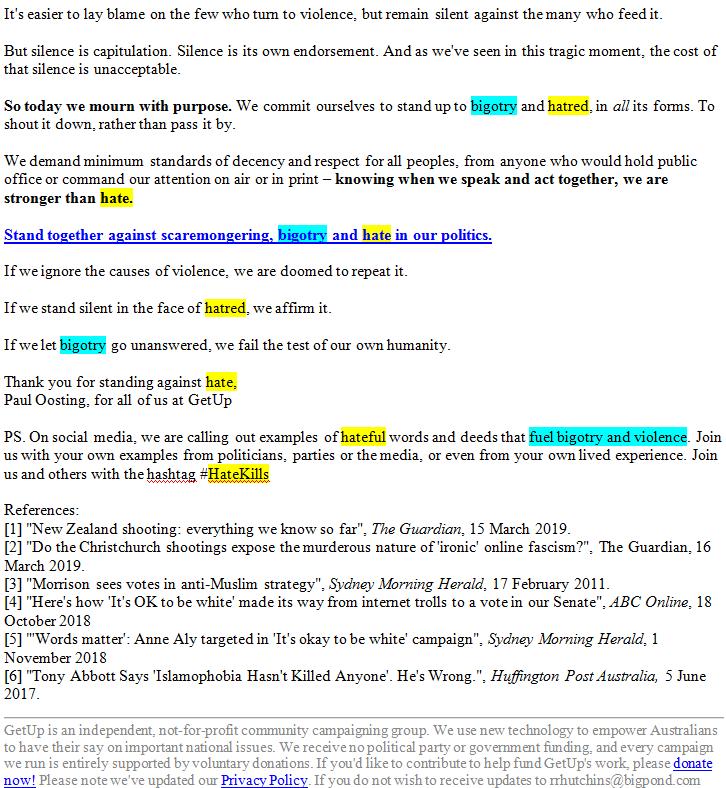 GetUp – Purveyors of Hate and Division? This past week have shown us the best and worst of humanity. Following the tragic events of last Friday 15th March, in Christchurch NZ, GetUp have shamelessly used this incident to advance its own end goal. Their usual writing-style of highly emotive language and clever story- telling was taken to a new low on Saturday 16th, when they descended into the politics of pure hatred and division. 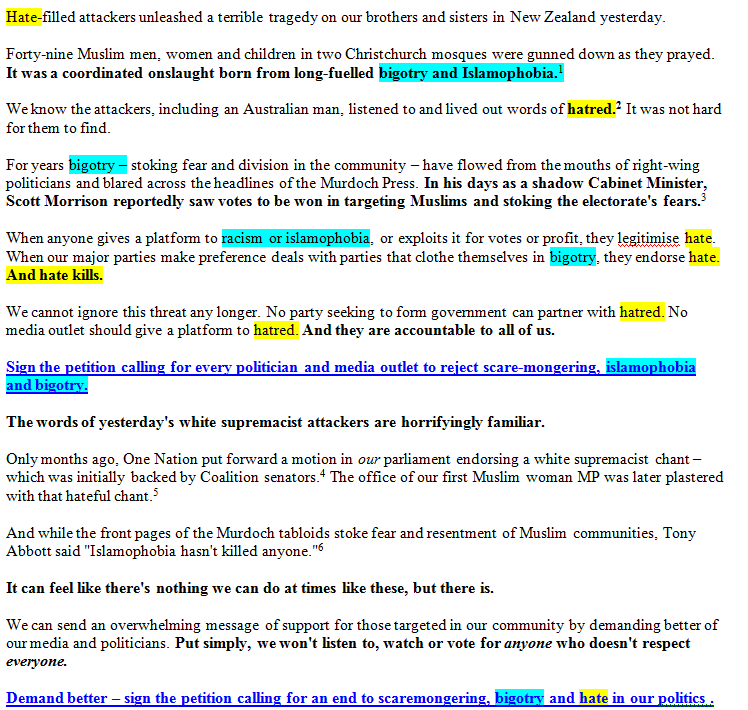 On the day after the Christchurch massacre, GetUp’s National Director, Paul Oosting, issued an email to supporters. In a short article, he used the word hate fifteen (15) times, and the word bigotry nine (9) times. In a blatant example of sheer hypocrisy Oosting accused all right-wing people, conservative politicians, and the Murdoch news of stoking fear and resentment; yet this was exactly what he was doing. Paul Oosting goes on to call for people ‘to share examples of hateful words and deeds that fuel bigotry and violence. Show examples from politicians, parties, the media or your lived experience’, and to find and propagate hate accusations and division. His campaign attracted supporters and donations. 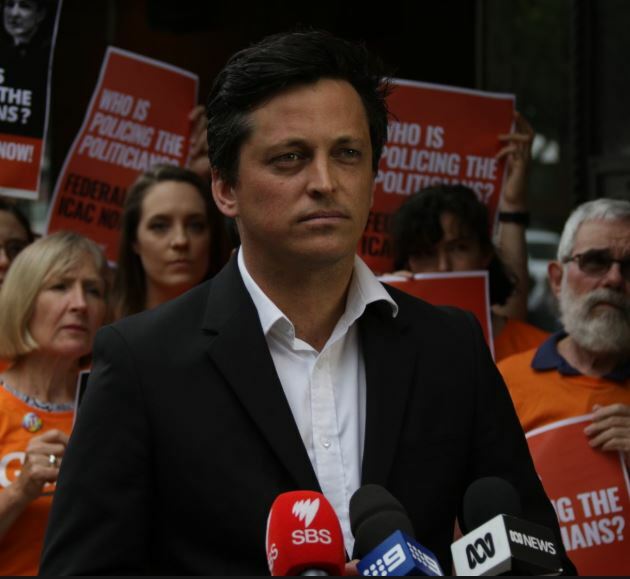 Clearly the politics of hate pays handsomely for Paul Oosting and GetUp. Is Paul Oosting an extremist, fixated on hatred for those he calls ‘hard-right’? 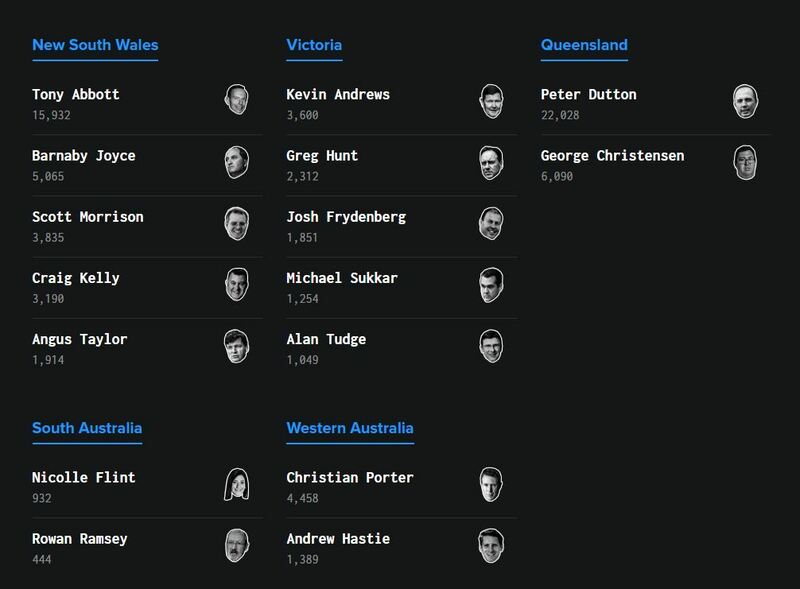 Emanating from the same campaign, GetUp produced a voting hit-list of conservative politicians they most wanted kicked out of parliament. No Greens or Labor MP or Senator was included, despite evidence of misogyny, bullying, sexual impropriety, inappropriate behaviour, and rorting of taxpayer funded privileges. GetUp wants these conservative politicians to GET OUT of the way of their hard-left socialist agenda. Our political climate has changed, in part thanks to GetUp, and no amount of carbon credits will turn this winter of the dark soul into summer. We have become de-sensitized to ongoing Islamic terror attacks in the west. We turn away from the horrors of ISIS in Syria, and the ongoing slaughter of defenceless men, women and children in the Middle East and Africa. We try to understand man’s inhumanity to man, and return with sympathy, assistance, empathy and compassion for the victims, while feeling powerless to stop the killing. Western nations have spent billions on security and safety measures to keep citizens safe. Many terror attacks have been prevented by law enforcement agencies, yet too many have slipped through their net, with deadly outcomes. Our tolerance of the intolerable has increased with each terror attack on our western societies while we blame ourselves and look for long-term solutions. We have learned to somehow cope and anticipate even more terror attacks from radical Islamists. Yet, when a retaliatory attack on the Muslim community occurs, we reel in shock. We are re-traumatised and destabilized. This is not the usual terror attack western nations have become accustomed to. The earth has shifted on its axis. This tragedy is just so wrong, and it does not reflect who we are and what we stand for. At this most sensitive time, however, and in a blatant grab for notoriety, data- harvesting and money, Paul Oosting releases an email full of hatred. Not one word of compassion and recognition of the out- pouring of grief for the victims’ families and for our traumatized NZ brothers and sisters, in the wake of this terror. Instead we see another attack from GetUp – designed to destroy harmony and dehumanise all right-wing conservatives. These right-wing conservatives may represent 50% the Australian population. They are volunteers, stalwarts in their communities, people of faith and generosity whose only sin is to hold a different political view to Paul Oosting, Labor, and the Greens. These people believe in the right to free speech, the right to live in safe communities, and the right for Australians to determine their future. Accusing conservatives, right-wing political parties and politicians, of incitement to murder, is a stretch too far. When has Paul Oosting and GetUp called for or encouraged debate and analysis about the source of terror? Australia needs to have a national conversation about terrorism. We need to understand its genesis, its motivations, methodology, recruitment model, funding, and goals. Australia and NZ did not have terror attacks on their soil until the last few decades. HOW did it come to our shores? WHY does it target innocents? While we have Paul Oosting and GetUp fuelling the flames of hatred and division, we will have a dysfunctional society. Any discussion now is classified as hate speech and an incitement to violence thanks to the extreme-left who have silenced reasoned debate. GetUp must take some responsibility for this shift in our democratic freedoms. Make no mistake. GetUp are NOT who they pretend to be. 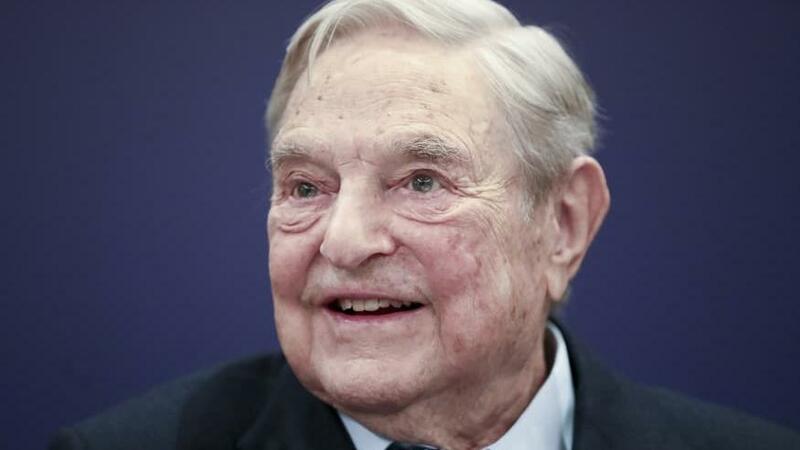 They were seed-funded by billionaire socialist George Soros, the AWU and the CFMEU and are the attack dogs of the left, promoting a socialist agenda using manipulated emotion on the platform of climate-change and open borders. They claim to be funded and representative of most Australians. This is simply NOT TRUE. They claim to be funded by Aussie Mums and Dads despite having received millions from foreign overseas donors. When legislation changed in January this year (2019), GetUp moaned that ‘preventing foreign donations will destroy us.’ They cannot have it both ways. Adding to their divisive and dangerous rhetoric, on ABC’s The Drum program of 18th March, GetUp Board Director, Sara Saleh stated that Tony Abbott, Scott Morrison, and Peter Dutton had blood on their hands, and their mere existence was offensive. Is this not genuine hate speech and incitement? GetUp’s politics of hate and division will destroy our civil, compassionate and free society. 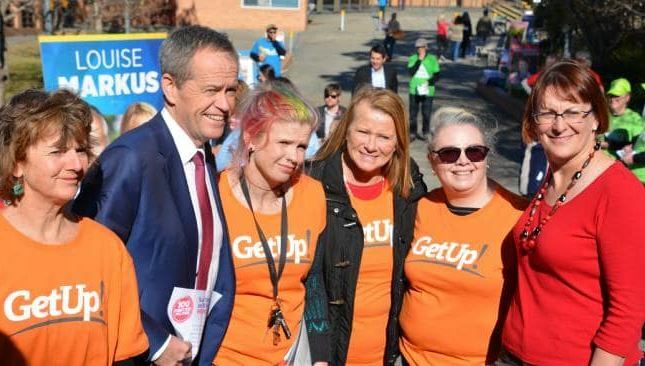 GetUp may have chosen YOU……. but you need NOT choose THEM! Rite On! Is committed to fighting for Australian conservative values so our children can grow up in a free and democratic society. We acknowledge the Aboriginal and Torres Strait Islander peoples who have lived here since the Dreamtime. We acknowledge the explorers and pioneers and their descendants who planted the British flag and Christian values on this continent, creating the Australian nation. We acknowledge the Federal Commonwealth of Australia, created by the nation, under the Crown, to guard the liberty of ALL our citizens. And we acknowledge those ‘New Australians’, who came here for a better future, and made this nation strong and prosperous. previous post: Why Not Nuclear?